Firefox OS: heading rapidly for the exit. Photo by Wojciech Szczęsny on Flickr. If you’re writing an app that would fit that description, this is a great primer. Firefox OS was first unveiled in 2013, with the aim of targeting the developing world and late adopters with low-cost handsets. To differentiate from Android and iOS, Mozilla and its carrier partners focused on a web-first platform, with no native and only web apps. Sales, however, were always poor and the devices themselves failed to ignite a lot of consumer interest, and a number of OEMs cornered the market with a flood of cheap handsets. In a business that depends on economies of scale, it was a failure. 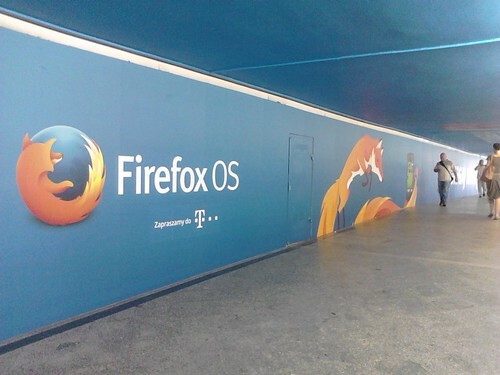 Mozilla has been on a streamlining track lately. Last week it announced that it would be looking for alternative homes for its Thunderbird email and chat client. The aim is for the company to focus more on its strongest and core products and reputation. Came really late to the game, and never made table stakes – an app ecosystem – because it didn’t think that that table was right. Apps trump the mobile web. Hartmut Neven, leader of Google’s Quantum AI Lab in Los Angeles, said today that his researchers have delivered some firm proof of that. They set up a series of races between the D-Wave computer installed at NASA against a conventional computer with a single processor. “For a specific, carefully crafted proof-of-concept problem we achieve a 100-million-fold speed-up,” said Neven. Google posted a research paper describing its results online last night, but it has not been formally peer-reviewed. Neven said that journal publications would be forthcoming. Google’s results are striking—but even if verified, they would only represent partial vindication for D-Wave. The computer that lost in the contest with the quantum machine was running code that had it solve the problem at hand using an algorithm similar to the one baked into the D-Wave chip. An alternative algorithm is known that could have let the conventional computer be more competitive, or even win, by exploiting what Neven called a “bug” in D-Wave’s design. Neven said the test his group staged is still important because that shortcut won’t be available to regular computers when they compete with future quantum annealers capable of working on larger amounts of data. Been a long time coming, but this is just starting to look promising. Hell, even if it’s off by a few orders of magnitude, it’s amazing. Here’s the deal. Yahoo’s current market value is about $32.9bn. This is much less than the value of the things it owns. Yahoo’s stake in Alibaba is worth about $32.4bn, and its stake in Yahoo Japan is worth about $8.7bn. It also has $1.3bn in cash and about $5.5bn in other securities, and $1.2bn in debt. All that adds up to around $46bn. So if the market values Yahoo at $33 billion, does that imply the actual Yahoo business — the websites, the apps, the digital advertising tech — is worth less than zero? Not quite — and here is where those tax issues come into play. Yahoo’s investments in Japan and China have all gained value massively over the years, and all that is subject to taxes if it’s sold. Hedge fund Starboard Value estimates the tax bill on Alibaba shares put their true value to shareholders at around $19.6bn; the Yahoo Japan stake would be worth around $5.3bn. Once you take those taxes into account, it looks more like Yahoo investors are valuing its actual business at a little over $2bn. That’s a figure that has been promoted by activist investor Starboard Value, as well as analysts at Nomura and Pivotal Research. There may be cooler kids on the block these days, but Yahoo still has a massive presence on the web. According to ComScore, Yahoo has a global audience of 618 million — the fourth largest of any company, behind only Google, Microsoft, and Facebook. In the U.S., Yahoo’s 211 million desktop and mobile unique visitors make it the third biggest destination, behind Google and Facebook. “Our overall network including Tumblr continued to serve a global user base of more than 1 billion monthly active users,” Yahoo CEO Marissa Mayer said in a recent earnings call. Facebook, in comparison, has over 1 billion daily active users. In terms of headcount the two are comparable: Yahoo has 10,700 full-time employees, while Facebook has about 12,000. What’s not visible is the general trend; iPhone sales, on this data, are trending faintly upwards in the mature markets such as the EU5 and US and China. The pollsters quizzed 1,017 Britons over the age of 15. They found 66% were aware of smartwatches. Awareness was down to 60% among respondents aged 35 and older, and to 57% among the lowest three social and economic groups. Only 2% said they owned a smartwatch, down to 1% among those over 35. The poll showed 43% believed people did not need a smartwatch; but that doesn’t mean 57% of people believe you do need one. Similarly, 24% saw a smartwatch as a gimmick, but that’s not an indication that 76 per cent regard it as a life necessity. Possibly the glummest news for enthusiasts was that only 6% of the smartwatch-aware were likely to buy one in the next year. So, unless I’m reading the figures wrongly, enthusiasm for this kind of wearable technology is several degrees below lukewarm. Yoni Heisler looks back to what came out in the 2012 trial during the discovery phase, particularly in the documents revealed to either side. 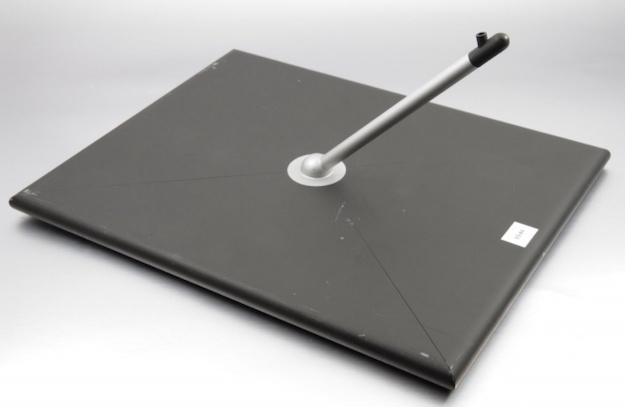 How about the kickstand idea for the original iPad? Yeah, perhaps you can guess how long Steve Jobs would let that one live. For every phone we review, we perform battery tests. There are benchmarks, and just using the phone to see how long it really lasts in daily use. This combo gives you a good idea of how long any phone will stay awake between charges. All sorts of things can affect battery life, especially when you’re out and about using the thing. So we decided to get all the big phones of 2015 together and give them a thorough going-over with some real-life-related tests to see which phone really is the longest-lasting. Which phones? We’ll be checking out the iPhone 6, iPhone 6 Plus, Samsung Galaxy S6, LG G4 and HTC One M9. After all, they’re the most desirable phones of the year.